Adobe stepped up its analytics game, to provide you with even greater opportunities to turn insights into action with its “fully loaded” enterprise solution — Adobe Analytics Premium. Blast’s team of Adobe-certified consultants can help you leverage this powerful set of tools to EVOLVE your organization, using your valuable data to predict customer behavior, drive revenue, and achieve greater business results. As part of the Adobe Marketing Cloud, Adobe Analytics Premium is an industry-leading solution for making data-driven, customer-focused marketing decisions by applying real-time analytics and detailed segmentation across all of your channels. 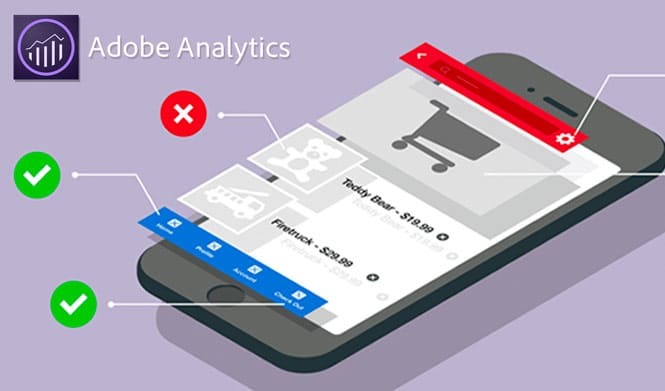 With 360-degree customer views, powerful predictive models, and algorithmic cross-channel attribution, Adobe Analytics Premium delivers customer (or marketing) intelligence to identify issues, discover opportunities, and measure key performance indicators (KPIs). Adobe Analytics Premium can be implemented as a complete solution, or based on specific desired functionality. Customer 360 allows you to combine your web data with customer data from other channels, giving you a more complete picture of how they interact with you, to ultimately improve the customer journey. Attribution allows you to see all of your marketing channels in one place and accurately assign credit to every conversion. With this insight, you’ll know better where to invest resources, and when to change course. Adobe Marketing Cloud Integration enables you to leverage predictive intelligence and insights across other Adobe tools, including Adobe Target, Adobe Audience Manager, Adobe Campaign, Adobe Media Optimizer, and Adobe Social. Analytics is the foundation of marketing, yet many leaders struggle to connect their vast amounts of data with business activities and customer interactions. At Blast, we’ve honed our skills and expertise through the years, helping enterprises in diverse industries implement business-transforming analytics solutions, utilizing Adobe Analytics Premium and custom solutions. Implementation – Getting Adobe Analytics Premium up and running is easier with experience. We’ll make sure to correctly set the parameters for the custom dimensions and metrics that were recommended during the strategy phase. Training – Our Certified Adobe Analytics consultants provide ongoing education and training to guide your sustained success and ensure data governance. This makes it an ideal solution for enterprises seeking an enhanced, more powerful analytics solution to EVOLVE their organizations. As a long-time Adobe Analytics consultant, Blast can help you evaluate other enterprise analytics solutions (such as Google Analytics 360 and SnowPlow Analytics) to ensure that we help you select the right solution for your business. We can also guide you on Adobe Analytics Premium pricing, to ensure you receive the maximum value from your investment. Looking to get started with an Adobe Analytics implementation audit? Or are you interested to learn more about our analytics consulting beyond Adobe Analytics Premium? Blast offers business analytics solutions and complete digital analytics consulting services.